Here is my base kit for my entry and my "proof of life" for the campaign. I am still not sure what I am going to build. My next update will be June 1, 2016! Already some nice builds..... will be watching and noting all the new ways of doing things. Mine is moving along..... This is the rear trunking that I built in the beginning along with the rear end modifications. Spent part of the day today on starting to build the cabin. The issue is that because of the way the floor in the vehicle is I can't glue the walls to the floor that I have. 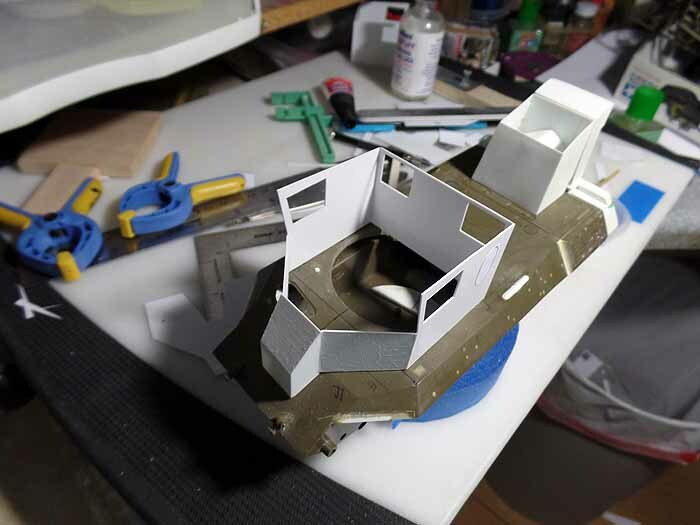 It has to be modified so that the rear part of it is missing as you can get down into the hull. 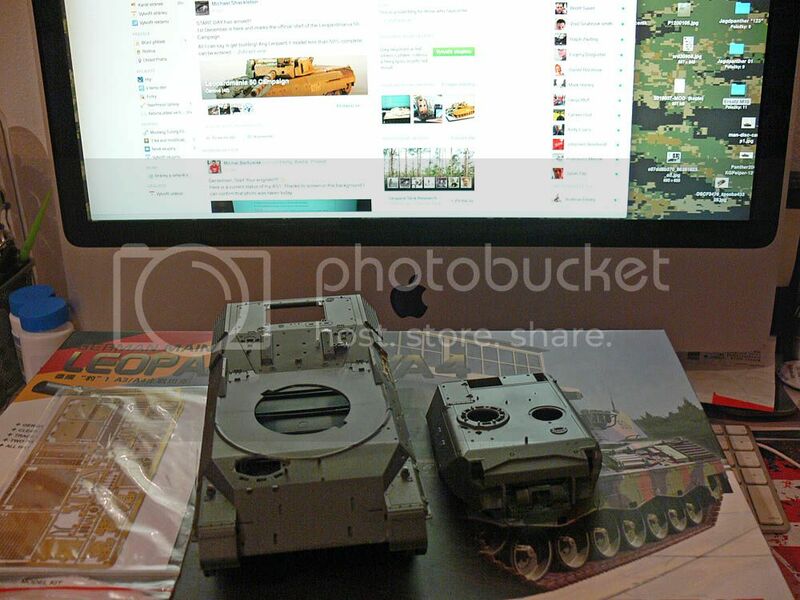 this is my entry, Leo 1A4 Bundeswehr. Campaign Gallery : HERE !!!!! Sorry John - didn't realise. Thanks for pointing this out. Everyone - PLEASE TAKE NOTE. Please load your start images into this Campaign gallery. You can also add basic notes of what you are building which will be quite useful. I've just updated the rules to include this. 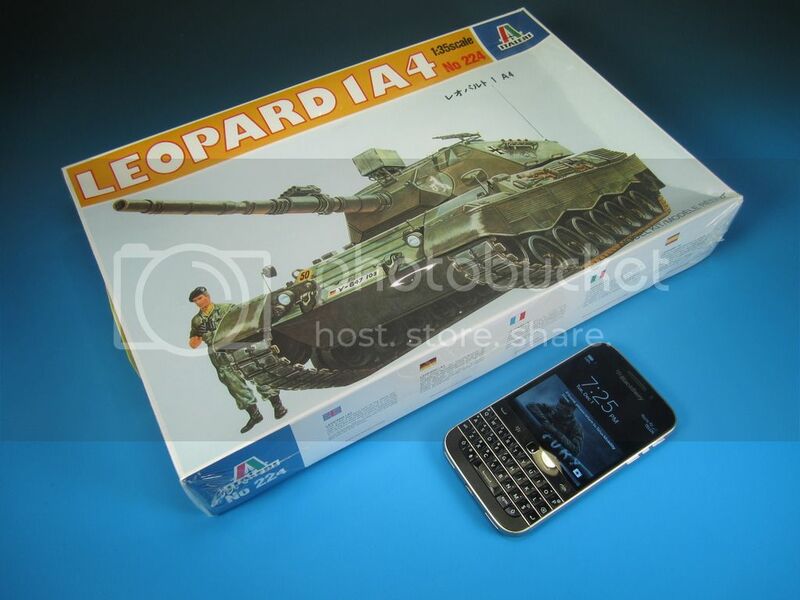 I'll take part in this campaign with the new Leopard Kit from Revell which arrived today. I do not have a picture with a starting date but I have the invoice that says that the kit was shipped on 1st of December. I forgot to add this Photo in my last post back on 1 December.. 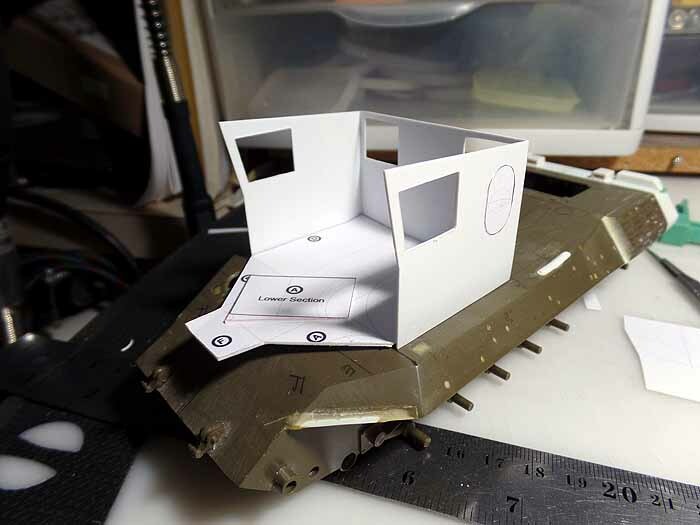 I think I will change my mind and try and complete a Canadian Leopard 1A2 "Rent-a-Tank"that I started last April I think. Just the start- maybe 15%? 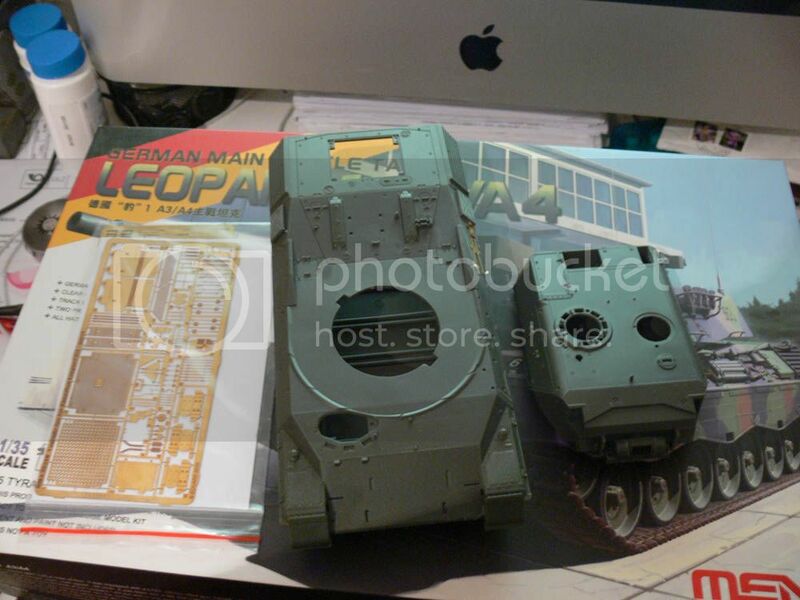 I will use the Italeri Leopard1 A4 kit, number 35224 for the lower hull. Nice. I have that one on the list also. Was going to do it for this build but I decided to finish the BARV. If you have any information on the wording I would love to know so I can use it when I build mine. 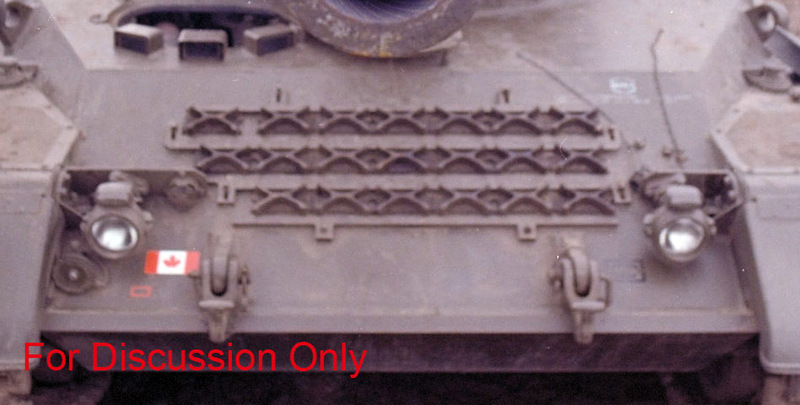 If you need any assistance with your Canadian Leopard 1A2 let me know. I had a great time building mine. Bob...I am fairly confident the unconfirmed text and logo on the glacis plate is manufacturing data. 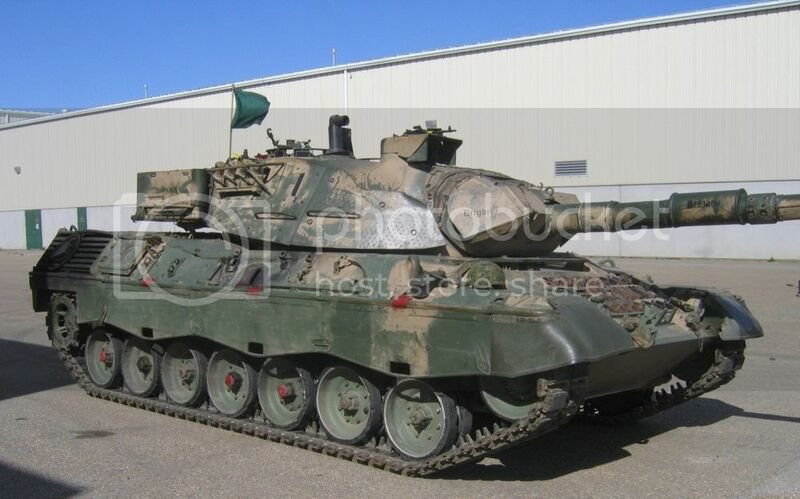 My entry - Leopard AS1 of the Royal Australian Armoured Corps. Tamiya kit. Armour Bits conversion. More research needed by me. Apologies for poor pics. Will sort camera out ASAP. Welcome to the Campaign David. AS1 is always a colourful subject and the Tamiya kit is an interesting choice. I have had a slight change of plan and offer the following pic as my proof of life shot. It will become one of the two Leo 1A5s converted to an Artillery Observation Vehicle, that were subsequently not ordered into production. I will still build the Fahrschule and tractor, but I am at a show tomorrow and this 1A5 kit is the only one to hand, so it jumps the queue! Thanks to Italeri cutting grooves around the tools, I have a ton of filling/sanding ahead. Should have mentioned that this show is ideal for building - good lighting, comfy seats, and a whole 6 hours of uninterrupted plastic-bashing fun! Thanks. Maybe you can suggest marking decals needed? And do you know of any tanker figures that maybe appropriate fr the time and place? Markings on the tanks were limited to the white outlined black Maple Leaf on the turret sides, Canadian flags on the front and rear hull, tactical symbols, and call signs on either a board on the turret bustle or in certain cases on the turret sides. As far as figures you are likely going to have to scratch build a crew. There are no 1970s era Canadian crew figures. The crew would either worn the Canadian Combat Shirt and Pants or the Crew Suits. Starting with US Vietnam era figures will give you the basic uniform but the shirts and pants will have to have the pockets, buttons, and epaulets modified or added. Although I have already promised myself that I will build a UN 1A5DK for this campaign, I am actually quite tempted to also knock Revell's new Leopard 1 into some sort of shape - either as a Batch 2 German machine or a Dutch 1NL (thank goodness for hull-side tool boxes!!). I think I will be hitting the spares box and Leopard Workshop's catalogue quite heavily if I do. Watch out for this one..... going over the high points in the sand looks like it is on the ocean. Almost makes you sea sick! Looks like it might be a fun little vehicle to play on the beach with. I'll just paste what I've done up to now. The Italeri kit I am using is for the most part still pretty decent. I would even say that in some ways it is still better that the recent releases by Takom and MENG. 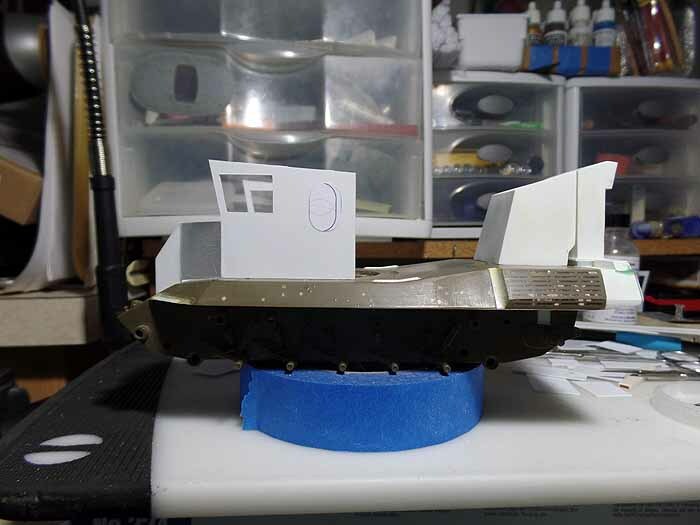 Step #1. calls for the gluing in of the two inside mounting brackets along the deck of the lower hull, into which the single piece suspension swing arms slot into and are glued in place. The other two more modern kits from the other companies have a different arrangement, opting for a length of thin plastic extending from the swing arm, which mimics the real torsion bar suspension. 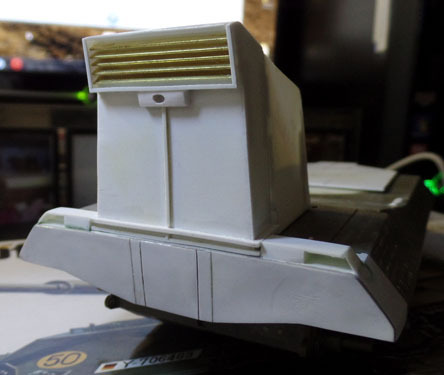 Here is a side shot of the main hull tub. Be aware there are two types of swing arm, (12a and 10a are one type, and 11a and 13a the other) They need to be glued exactly into the places mentioned in the instructions. I feel that the rendition of all the other suspension parts (4a, 5a, 6a, 7a, 8a and 9a) are better on this older kit. the two types, notice the little wheel? the other previously mentioned suspension parts going into position. Step #2 is all about the wheels which are okay but some work is required. 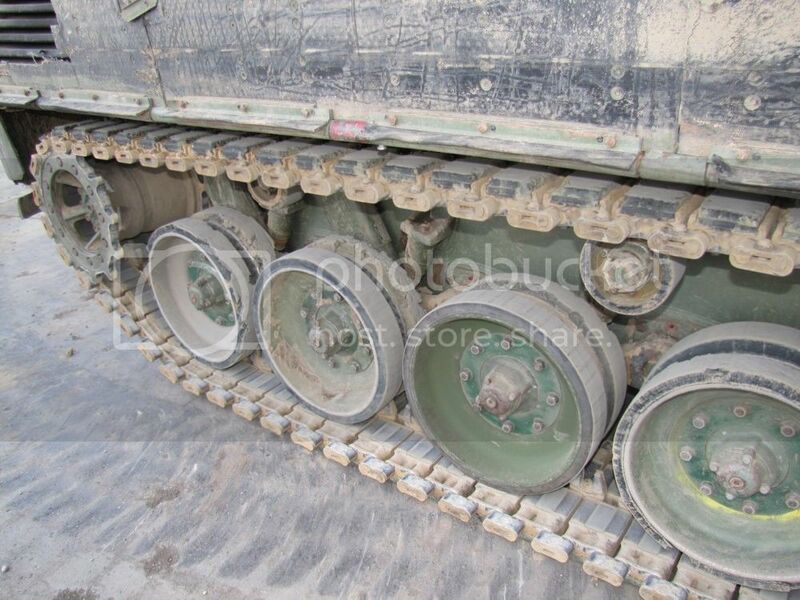 Such as the removal of the crosswise molded indentations in the tires. Not sure what Italeri was going for here but they got it wrong. These need to be sanded smooth. I also went further with some and using an Xacto knife, I ravage the rubber tire as seen in some photos of the real things. An original and one that's been smoothed over. in this picture, in the front, you can see the original tire with the "indentations"
the wheels cleaned up and chomped on. the rear plate added, of which all of this will be sanded off and re-tweaked. The Italeri kit has some pronounced edges that stick out on either side on the front lower armour- this needs to be sanded smooth. Big thanks to Mike Shackleton for graciously sending me a new barrel as the first one was missing a couple of the shroud pieces! Hopefully will start this weekend. Good choice Jim...lots of Cheeping! Cheeps with the method of hairspray, no? Should be a good exercise, just lookit all the variation in roadwheels alone!